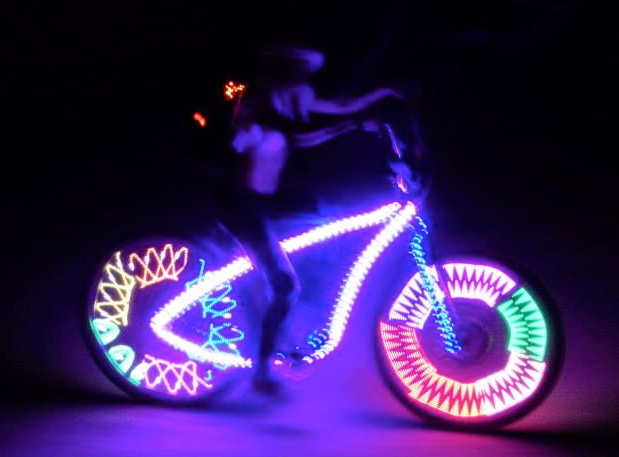 Cool Neon Will Light You Up for the Playa! Look at all of our Instant Gratification items for Cool Neon EL wire that’s ready to wear, including our 5ft plug and play unit, 10ft and 20ft options. For more advanced costumes, our Total Control Lighting paired with a Gateway Controller. Rainbow Tassles will need a driver. We suggest the AA Handheld. Pocket Plasmas, drivers, and Plug & Play kits will need batteries. If you’d like some soldering help, project advice, or extra time to shop, Cool Neon will be having Soldering Parties in our Oakland shop the first three Saturdays in August: August 2, August 9 and August 16th, Noon – 6pm. Check out our Tutorials for more technical info.